Firstly, I want to mention Physicians Formula. I personally don't use any of their products in my pro kit or personal kit, but they deserve a shout out. For years, every foundation they released had 2 or 3 shades. They FINALLY launched a new foundation, called The Healthy Foundation, with 16 shades that covers more skin tones from fair to deep. I think there are still lots of shades missing, but it's an impressive jump from 3 shades. I applaud them for listening to customers and expanding their shade range. IMAN Cosmetics is a line created by THE Iman for people of color, AND it's available at Target and Walgreens. How cool is that? I haven't played with her makeup, but now I need to go hunt it down for my kit. Another popular brand at the drugstore is Black Opal. They have some of the best shades for deeper skin tones. Their powders are so good at keeping the skin matte without looking chalky or ashy. I have to talk about Becca Cosmetics. Their Ultimate Coverage Foundation line is one of the most beautiful foundations I've ever used. It comes in 20 shades and covers a very wide range. The deeper shades are sooooooo pretty. They got the undertones PERFECT. Nothing is too red, too yellow, too orange, or ashy. NARS. You can't forget about NARS. All of their complexion products have a PHENOMENAL shade range. From very fair to very deep, they cover most undertones. 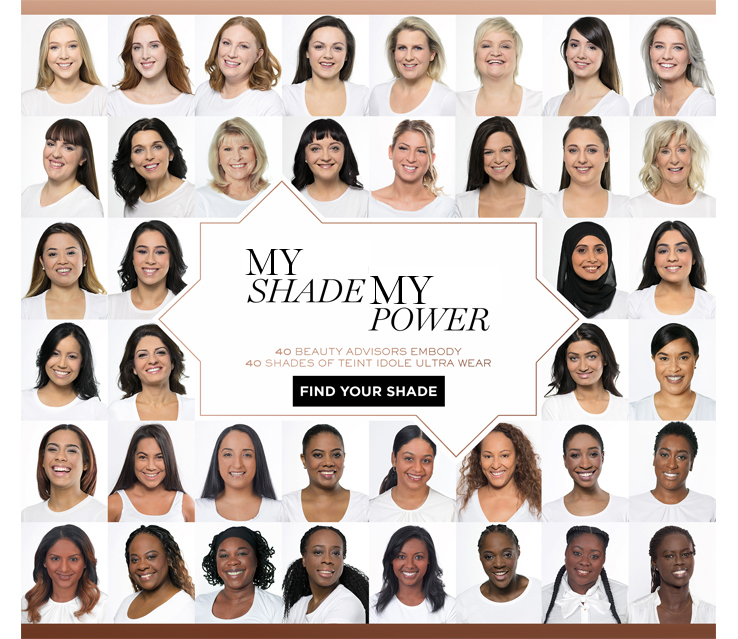 Their new Natural Radiant Longwear Foundation comes with 33 shades, including some new shades for people that are in-betweeners. I usually wear Stromboli because it has olive undertones, but it's a bit dark for me at the moment. Time to start self tanning. I believe Lancôme always had a wide shade range, but I don't think they get enough recognition. Their most popular foundation is the Teint Idole Ultra Wear and it comes in 40 shades with options of neutral, cool, and warm undertones. Another giant beauty brand that has a great range is Estée Lauder. The Double Wear foundation used to be one of my favorites and it was also the first high end foundation I ever purchased. It comes in 42 shades with beautiful undertones. Writing this post makes me want to go out and buy this again. Bobbi Brown has been around forever and she always had a diverse shade range. She was the first beauty brand to come out with yellow toned foundations in a sea of pink foundations. I can't remember the exact story, but I read that executives told her to discontinue her deeper shades because they don't sell well, but she fought to keep them on the shelves. A round of applause for Bobbi, please. Cover FX is another well known brand that has 40 shades to choose from. They made their coloring system easy to shop. N for neutral, P for pink, and G for golden. Of course, all the professional brands like Cinema Secrets, Kryolan, RCMA, Graftobian, Mehron, Ben Nye, Joe Blasco, Kett, Temptu, William Tuttle, and Jordane, have a HUGE variety of shades to choose from. You can also buy adjuster shades to mix your own foundation color. You may have noticed I didn't mention Fenty Beauty. They are not the first brand to be inclusive. All the brands I mentioned above have had deeper skin tones for a years. I'm tired of seeing every brand compared to Fenty on social media. What are some of your favorite inclusive beauty brands? Let me know in the comments!